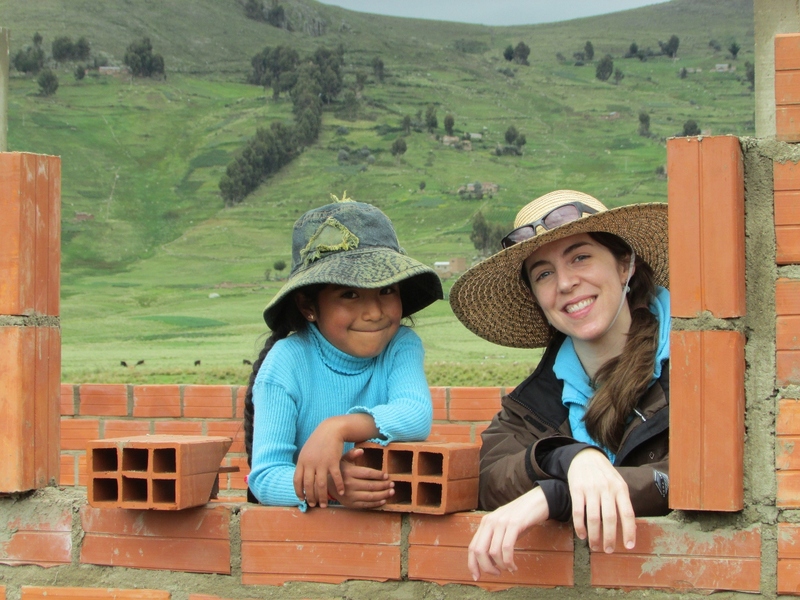 Meet individual volunteer Katie Yaun! I am writing from a corner in Jeff and Debbie's Copacabana, Bolivia, home overlooking Lake Titicaca and their lovely garden. The sun is just starting to peek out after a rainy start to February 9, the middle of rainy season here, and I can’t help but think this is a wonderful metaphor for the exciting year ahead: it is my hope to shed a bit of light, in the form of English education, to Copacabaniños while simultaneously learning from, about, and with this community of welcoming and wise individuals. For the next 9 months, I will join Jeff, Debbie, and their impressive work with Misión Fronteras in the promotion of sustainable economic, agricultural—and now educational—growth in the Bolivia/Peru border region. I am thrilled to have an opportunity to launch a Teach the Teachers program, focused on training local teachers how to teach English to their elementary- and high-school-age students. How and why did I come to this place? You might be wondering. “This place” is actually the intersection of three roads that have shaped my life: English education, Latin America, and overseas mission work. First, I have been journeying toward “this place” of English education since childhood, as a booklover. In college, I majored in English and minored in Spanish, then received a Masters in English and TEFL certification. I worked several years as a writer, teacher, editor, and educational coordinator. Second, my arrival at “this place” of Latin America has been gradual. I grew up in South Texas and Florida, where Spanish is just as likely to be spoken as English. My father worked for U.S. Customs and traveled at least once a month to various places in Latin America. He told many stories about the poverty he observed during these travels. As a child, I remember wondering if I could possibly do something to help. In 2010, I participated in a short-term mission trip to Nicaragua. Since then, I have been interested in returning to Latin America. In 2011, my father unexpectedly passed away. This sudden loss initiated the final change in my life that led to my arrival at this third place, Misión Fronteras in Copacabana, Bolivia. One day, I was a typical career-minded, single, busy—and admittedly stressed out! —young woman. The next day, prompted by the heartache over my father’s death and the realization of how very short life is, I found myself questioning the pace and focus of my life. 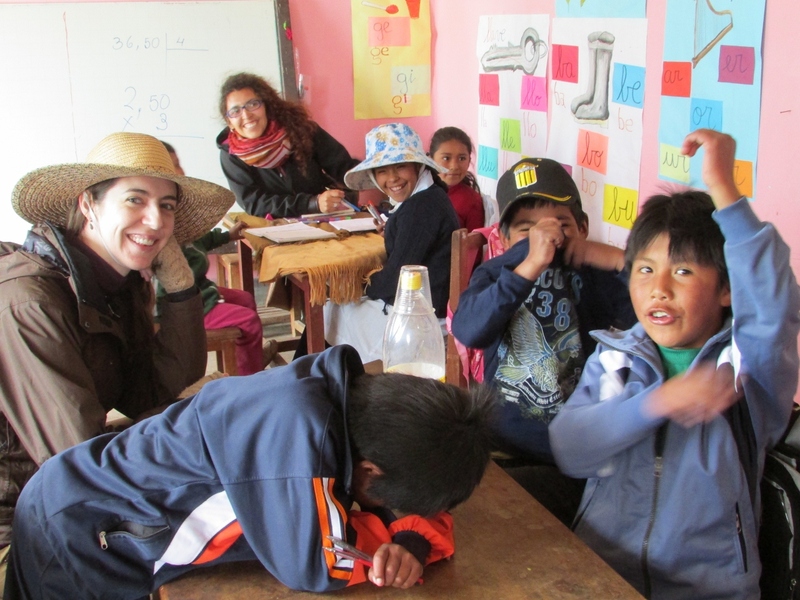 In 2012, I decided to investigate education projects in Latin America, thinking this might be an answer to that childhood question (how can I help?) and a way to redirect my life in a meaningful way. I looked into many programs, but nothing clicked like Debbie, Jeff, and Misión Fronteras. There is a sense of rightness and peace about my joining them. I have been visiting for a week now, and have had the chance to adjust to the altitude, get to know Jeff and Debbie (and their amazing gourmet cooking! ), scope out housing, and most importantly—get oriented to Misión Fronteras and how I can fit in. I am now familiar with the needs, goals, and motivations behind this community’s desire for English education. I have eaten lunch with an Aymaran church community, visited a local school, learned about the many projects the mission has underway, and have gazed on the beauty of Lake Titicaca. I have seen God at work here. Yes, there is indeed a sense of rightness and peace about my being here. I have so many ideas for the Teach the Teachers program, and cannot wait to join this caring community!